The eight race programme caters for single cylinder 250cc & 350cc machines, Lightweight 250cc, Junior 350cc, Senior 500cc, 850cc Classics, Classic Superbike's and Sidecars. The Solo races remain the same as the successful format of the previous years, whilst the Sidecar competitors once again have two four-lap races, one on the Saturday afternoon with the second being run on the Monday afternoon for the Camathias Cup is one of six rounds being held in the Isle of Man, England, Belgium, France, Germany and Holland during 2014. Long time competitor, Aermacchi specialist Bill Swallow equalled the long standing record of 15 victories at this meeting in 2012 and joins Bob Heath at top of the list - Bill will be hoping to add another win to his tally this year and move to the top of the table. Four-time winner last year, Chris Palmer has taken ‘early retirement’ and changed his leathers for a commentator’s microphone at Manx Radio TT! Mike Hose, with 10 wins to his credit is in for a busy time entered in five of the six solo races in this years programme. Blackpool’s Roy Richardson has a trio of Aermacchi machines at his disposal and will be hoping to add to his nine wins so far at the Blackford’s Pre-TT Classic. Veteran competitor Ted Fenwick returns with his faithful 250cc Ducati single aiming to make it to the top-step of the podium after a fine third place last year and adding to his three-in-a-row race wins in 2009, 2010 & 2011 carrying the number ‘86’ plate this year. Other previous winners returning this year include Alan Oversby, Chris McGahan, Ewan Hamilton, Alan ‘Bud’ Jackson, Terry Kermode, Rich Hawkins, Roger Birkenhead and Paul Coward. Guy Martin returns, making his now almost annual entry on the Trident Engineering Suzuki XR69 in the Classic Superbike race, the final event of the programme. 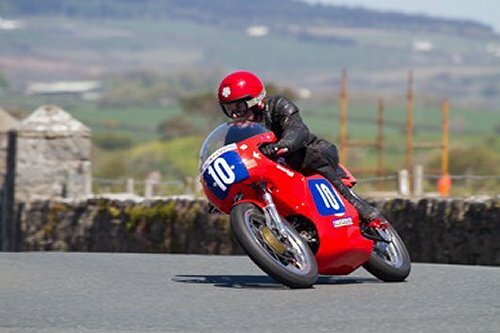 The Blackford’s Pre TT Classic has attracted a total of seven Newcomers in the Solo races this year, with a number of riders who made their debuts in 2013 returning to further enjoy ‘the Billown Experience’. 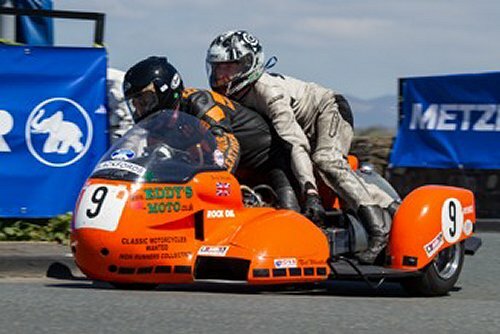 The ever popular Sidecar races have attracted 20 entries including previous winner Eddy Wright, this time with Dean Kilkenny in the chair and no less than six crews from Switzerland, Belgium, France and The Netherlands taking part. The 2014 event commences on Friday Evening 23rd May with the first Practice session and continues on Saturday Afternoon 24th May with the final practice, followed by the first two races of the event, the 350cc and 250cc Singles race over six laps and the opening Sidecar race over four laps. Monday 26th May sees a full day of racing action, with the meeting concluding with the Prize Presentation and Concours d' Elegance in Castletown Square on Tuesday Afternoon between 2.00pm and 4.00pm. 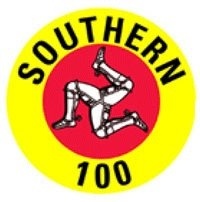 http://www.southern100.com and on Facebook: Southern 100 Motorcycle Races.